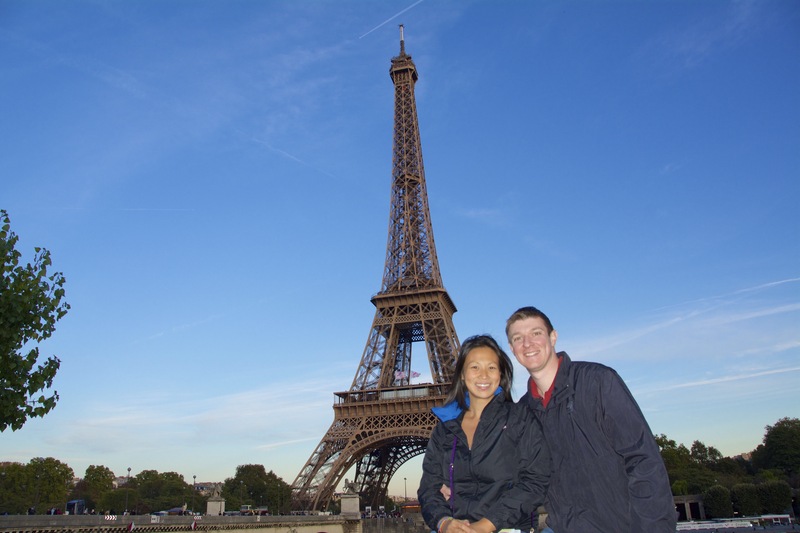 With all the travels we have done, somehow have never made it to Paris! So we were eager to include it on the itinerary when we decided to visit Munich. And now since we have been in Seoul, we became even more excited about the Paris segment of the trip because of all the fabulous foods that were awaiting us! 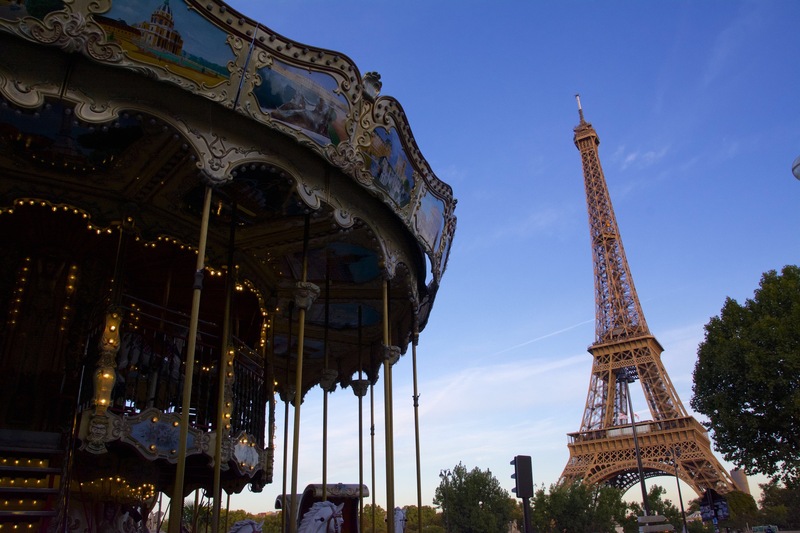 We arrived into Paris in the afternoon and were fortunate that a friend provided us with a Navigo which is a card that allows you to buy a weekly or a monthly unlimited ride pass. 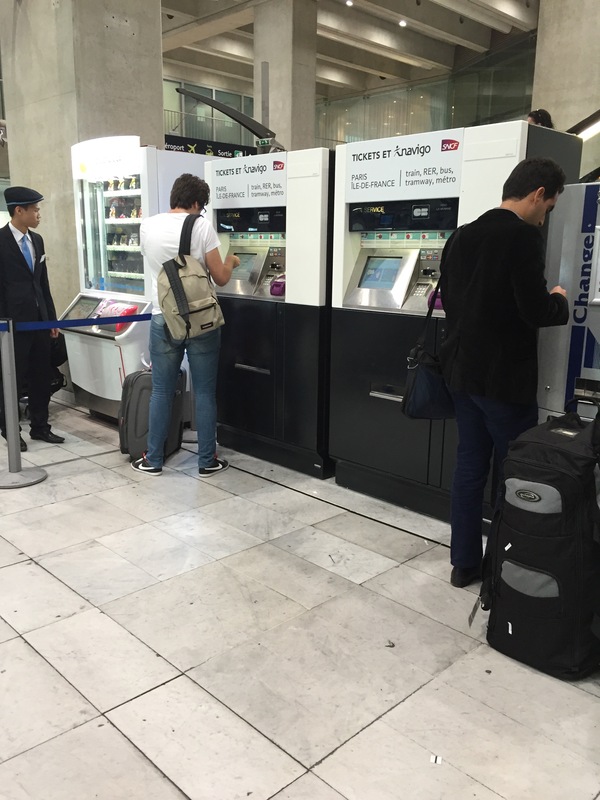 There are many Navigo machines at the RER terminal at the airport and they are very simple to load. Note that the week pass on the Navigo goes from Sunday to Saturday (not one week from the day you buy the pass), so depending on your itinerary this may or not be the best option for you. We happened to be traveling Monday to Saturday, so it worked out quite well for us. So the first stop after we dropped off our luggage was to Trocadero which has a great view of the Eiffel Tower. We decided to snap a few day pictures and relax and have a small picnic until sunset. 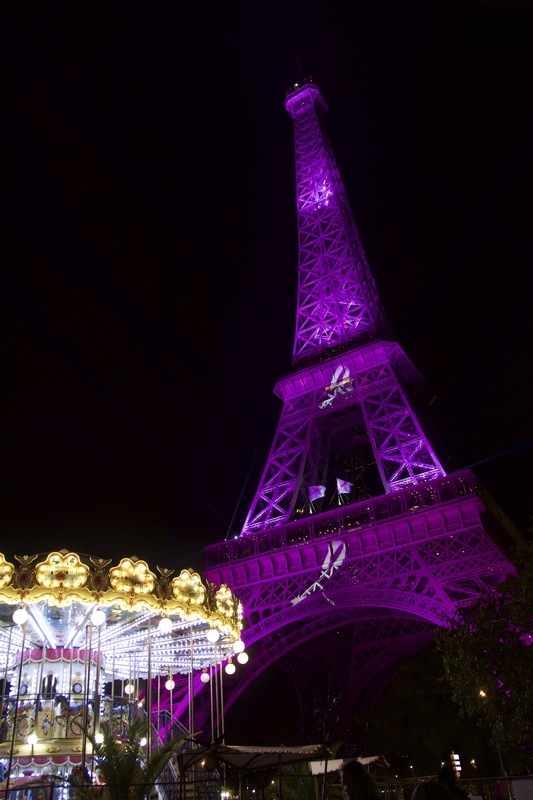 While we were there we saw that they were doing a big setup for Breast Cancer Awareness month and the tower itself started flowing purple! Then the tower went to white lights and started twinkling. 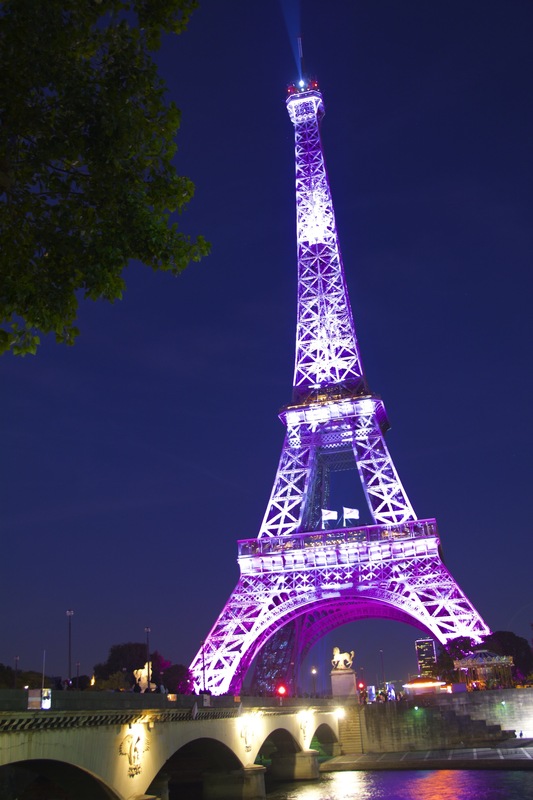 Finally the tower lit up in purple with the white twinkling lights blinking all over and a search light activated as well. 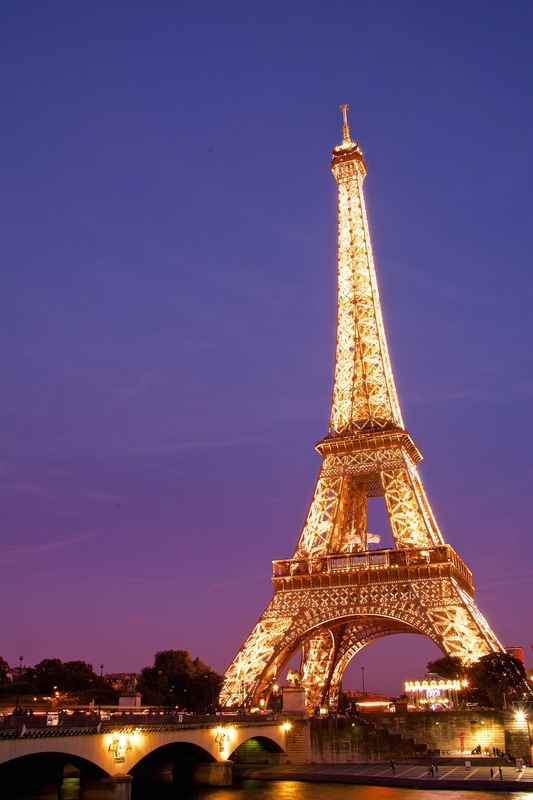 The Eiffel Tower is 1,063 feet and was built for the 1889 World’s Fair to be the Entrance Arch. The tower remained the tallest structure until the Chrysler Building was constructed in 1930. There are tickets that allow you to ascend to the 2nd level (or tickets that allow you to ascend to the Summit (17 Euros). You will want to begin looking at the website about 3 months out, tickets go fast! However, if you aren’t able to plan that far ahead, start checking everyday 2-3 weeks before your trip. Oftentimes tickets will come available for select time slots. Be careful when you buy your tickets as they are date and time specific and they will not allow you entry early or later than your scheduled time. We went first thing in the morning and we enjoyed have a less crowded experience. When it is your turn to head up the tower, you will be instructed to enter into an elevator. The elevator does not go all the way to the to Summit, it stops on the 2nd floor and you must exit and go to another elevator to get the rest of the way up. 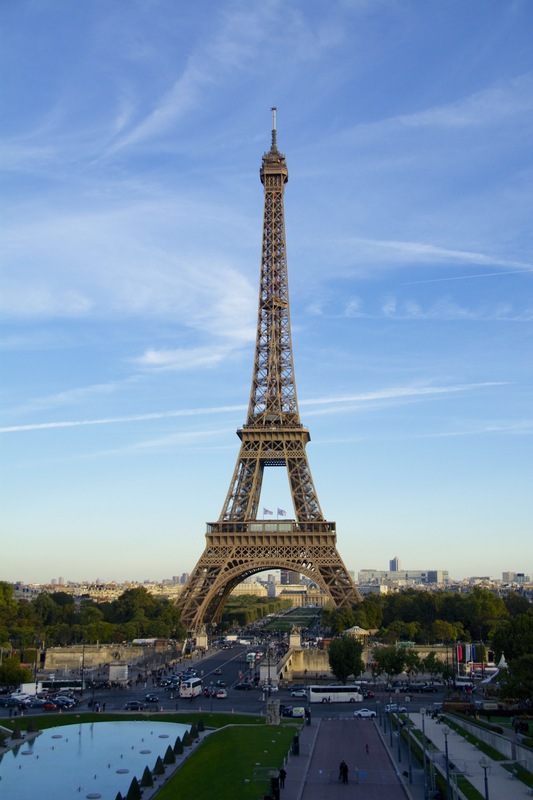 It is very interesting that the engineer who built the Eiffel Tower, Alexandre Gustave Eiffel, had a secret apartment at the top of the tower. It was fun to visit the summit, and we took some great photos of the city. 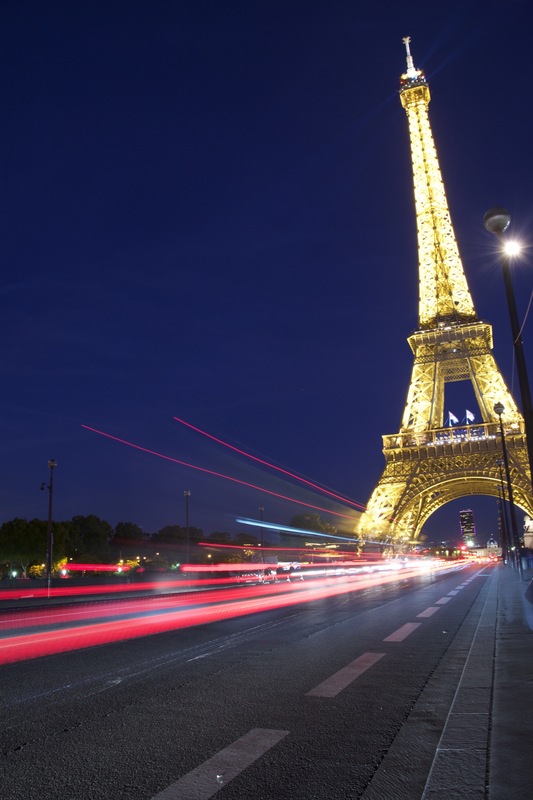 The Eiffel Tower is truly a beautiful icon in the city, you can see it from many vantage points, but we highly recommend enjoying the view of the tower from Trocadero!